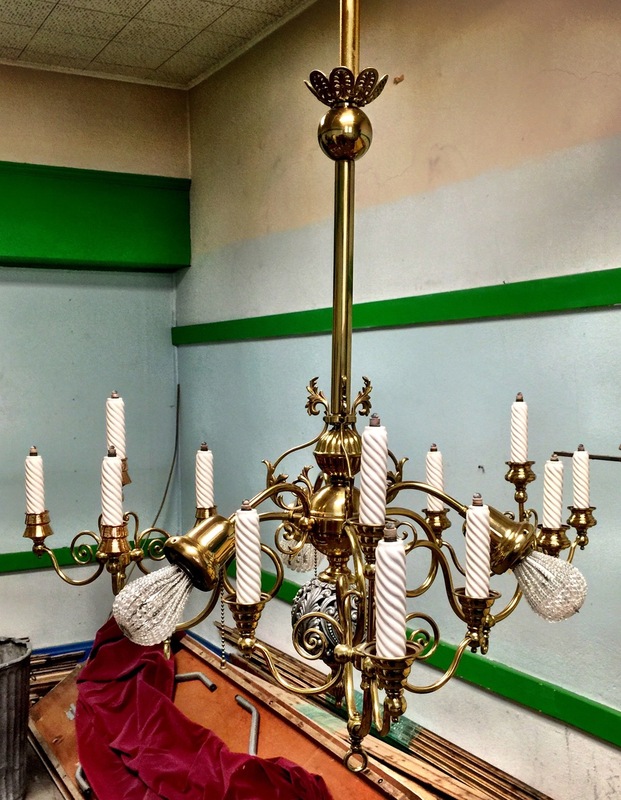 Below are the appraised values of each of the chandeliers up for auction. 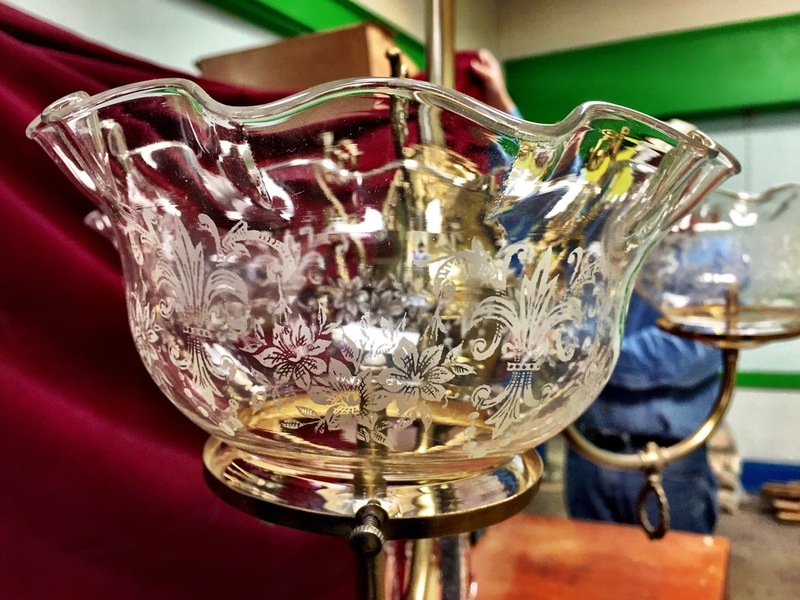 The appraisal was done by Monmouth Street Antique Gallery on October 12, 2015. The ERHF board has set a reserve price that bids have to match or exceed in order to qualify. In the event of a tie, the first person who submitted will win. Your bid must be submitted by 6:59 on December 1, 2015. If you would like to set up a time to see them, please contact Angela at chair@eastrow.org. Please submit your bid via email to treasurer@eastrow.org. The winning qualified bid will be announced at the East Row Christmas Party on Tuesday December 1st, so be sure to be there. Click here for more details about the party. If no bid wins, we will advertise the sale during the Victorian Christmas Tour to all in attendance. It is sure to be more competitive at that point, so don't wait. If you have any questions, please email them to treasurer@eastrow.org. Questions submitted will be posted at the bottom of this page along with the answer. This light dates from the late 19th century and was purchased from the occupants of the Mimosa Mansion House in Covington, KY in 1994. 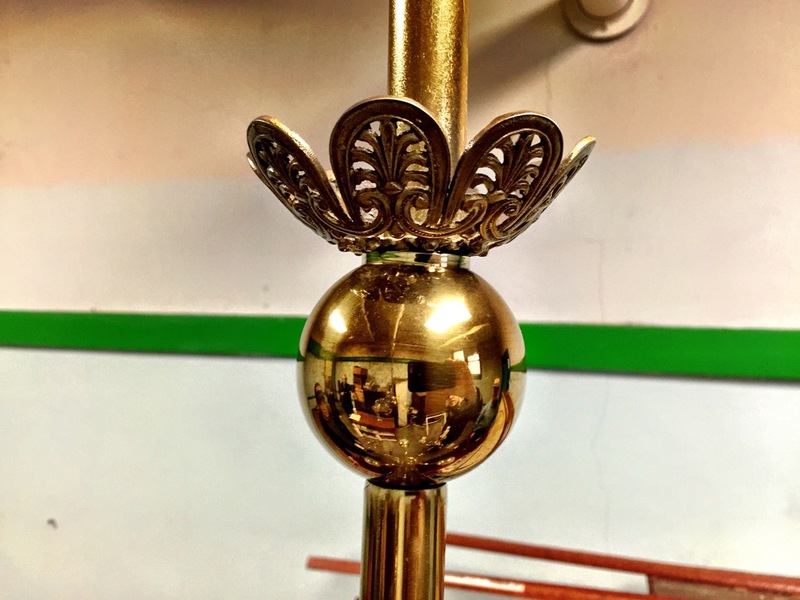 It is solid brass with a carved and pierced pewter shuttlecock center spacer as well as a carved and pierced pewter ball finial at the bottom. Three downturn electric lights (with replica 1893 Edison bulbs) are covered by snoods of faceted glass beads. 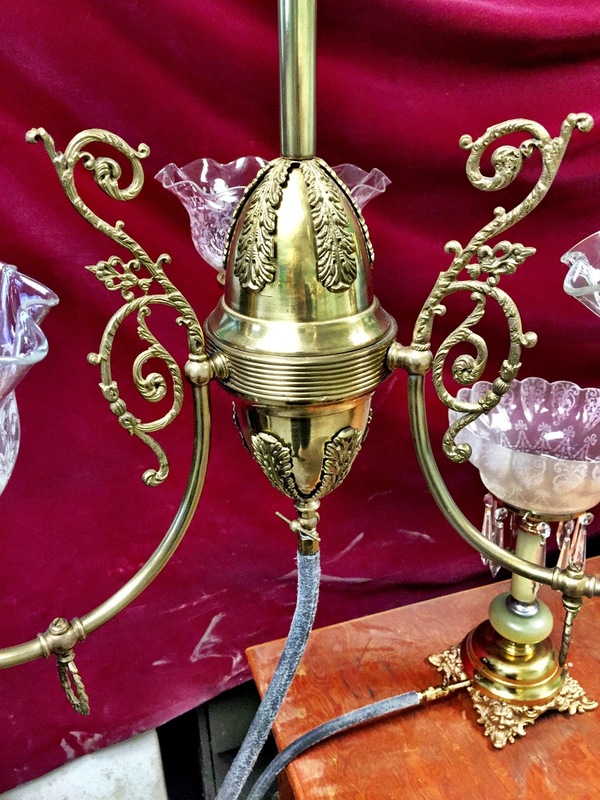 Each of the three upward turned gas arms blossom into a candelabra of four gaslights, chimneys, and nozzles which are graced by ceramic serpentine faux candles. The result is a total of three electric lights and 12 gaslights. All elements of this antique light remain fully functional. 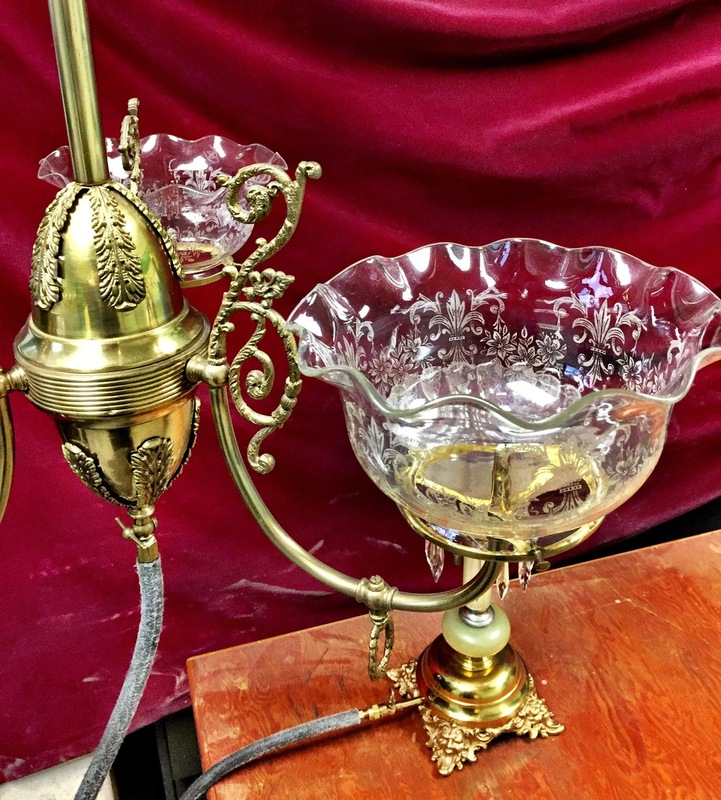 This light dates from the mid 19th century and was purchased from the occupants of the Mimosa Mansion House in Covington, KY in 1993. 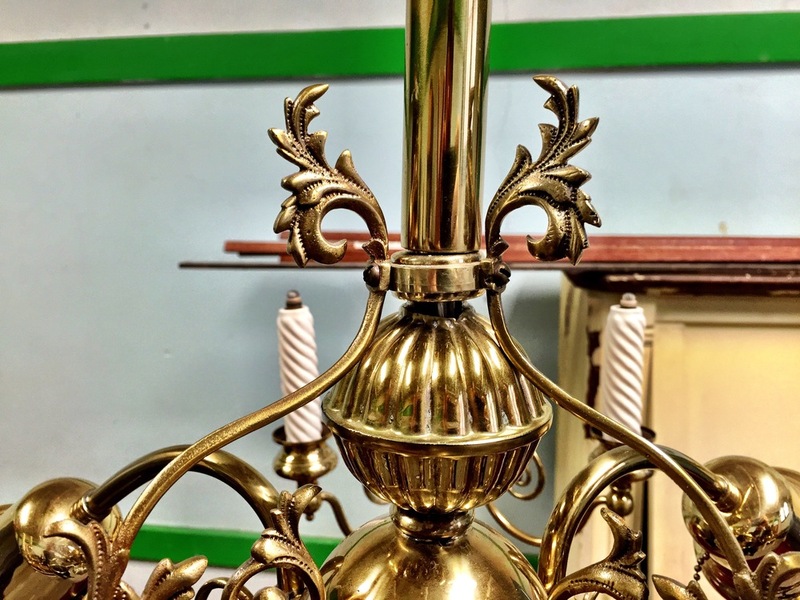 It is solid brass with three decorative gas arms each topped by an original, period 4 1/2“ etched and scalloped shade (a total of three shades plus two extras provided). An accompanying gas table lamp is connected to the ceiling gaslight by a 4’ historically accurate cloth-covered flexible rubber hose. The green marble gas table lamp has a decorative solid brass base. 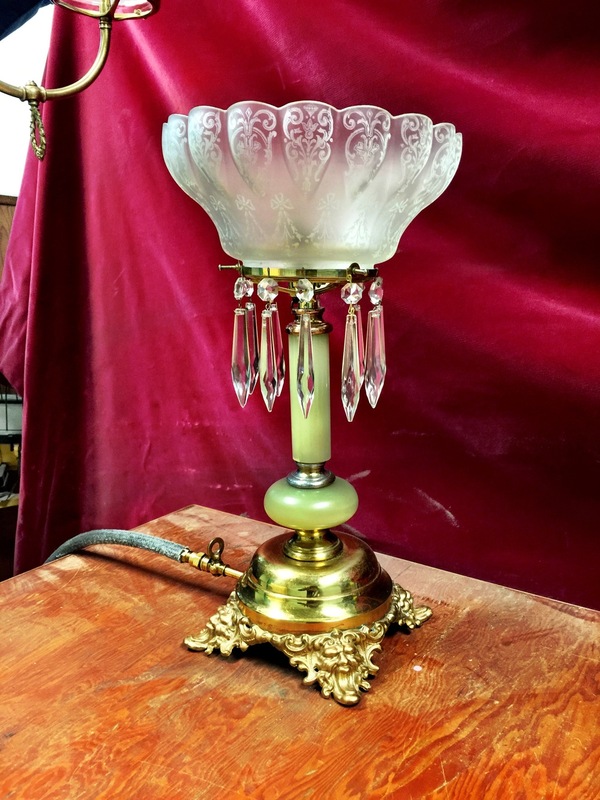 The lamp is topped by an original period 4 1/2“ scalloped and etched glass shade and 10 crystal drops suspended from the supporting bale. The gas portion of the lamp contains a fully functional gas chimney and nozzle with an attached flint striker mechanism. 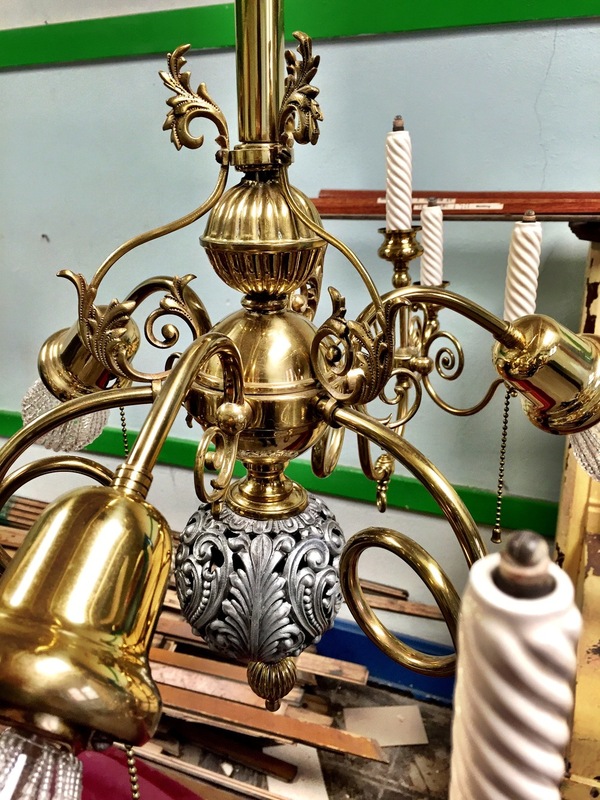 All elements of the gaslight and the gas table lamp are fully functional.